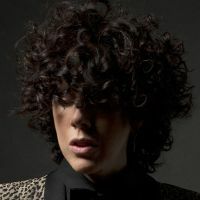 Singer-songwriter LP is coming back to Montreal on February 14th, 2019, at MTELUS. Laura Pergolizzi (That's her real name!) has been getting major attention with her hit single Lost On You, which got millions of views on YouTube. She wrote songs for many pop artists such as Rihanna, The Backstreet Boys and Christina Aguilera, while doing her solo project, and recently, she's finally been getting the recognition she deserves. Don't miss her concert at the Metropolis in Montreal this Winter!